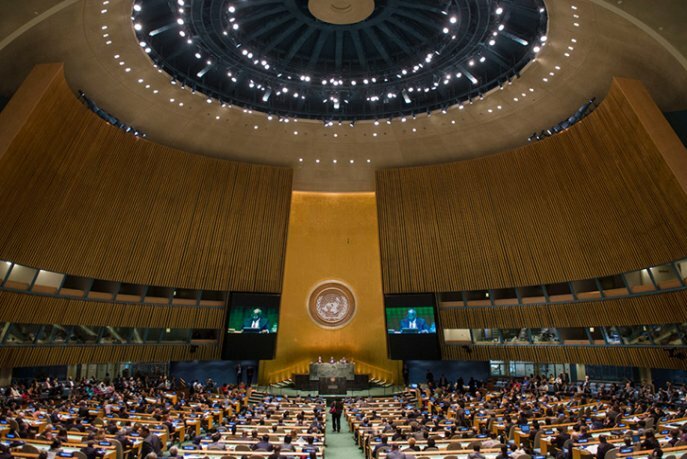 Several petitioners who took the floor before the UN 4th Committee in New York pilloried the Polisario, highlighting that the Algeria-backed separatist front has no legitimacy to represent the Sahrawis according to the standards of international law and that the autonomy plan proposed by Morocco remains the only option for the settlement of the Sahara problem. In this vein, Peruvian academic Martha Chavez Cossio argues that more than 400,000 Sahrawis live freely and in dignity in the Sahara, while only 40,000 people are sequestered in the Polisario-run Tindouf camps, in Algerian territory. Another fact that prevents the Polisario from having any representation at the international level is that it does not meet any of the three criteria needed for this. The separatist front cannot establish itself as a sovereign state as it does not have a territory (it was self-proclaimed in Tindouf in Algerian territory), a population (the people sequestered in the Tindouf camps are internationally recognized as refugees, and not as a people enjoying citizenship rights) nor does it have an effective government (the only government that exercises real and internationally recognized authority in Tindouf is the Algerian government), argued the Peruvian academic. The other argument she brought up is linked to the history of the regional conflict around the Sahara. Before the Polisario was created in 1973, Morocco, as early as 1963, had already claimed before the UN the decolonization of its southern provinces, inscribing the Sahara as a non-self-governing territory. That was long before Algeria and Gaddafi’s Libya decided to sponsor the separatist project that they created out of nothing. All these arguments make the settlement of the Sahara issue possible only within the framework of Morocco’s historic sovereignty over its southern provinces and on the basis of a political solution based on the autonomy initiative, described by the international community as a “serious and credible” proposal. Erik Jensen, the former UN Special Representative for the Sahara, believes that a new spirit must prevail. “A spirit of realism and compromise must prevail, as well as openness and the willingness to explore options,” he said. And this is precisely what has been recommended by the UN Secretary-General Antonio Guterres and before him by major world capitals since Morocco submitted the autonomy proposal in 2007.